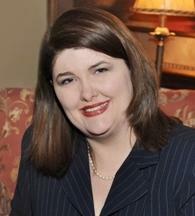 Ms. Holman has been practicing law for more than 14 years. Her practice is focused in the areas of estate planning. She has also developed a process for estate planning using a client-centered approach. Ms. Holman is involved in trusts, probate and post death administration of trusts. Ms. Holman’s commitment to public service is evidenced by her prior service as an Assistant District Attorney in LeFlore County from 2000 – 2002. In this capacity, she maintained the Juvenile caseload, supervised collections in Bogus Check Department, created and supervised the Restitution and Diversion Program and regularly prosecuted traffic, misdemeanor and felony cases including both, property crimes and domestic violence felonies.